I had to test it for myself. I decided to see how I would feel the next day if I went with only 3 hours of sleep. Guess What... for me I didn't miss a beat! The next day I went about my daily routine like I had a full 8 hours of sleep the night before. I don't recommend you try to go only on 3 hours of sleep all the time, but I knew this was the best way for me to test the extra energy level I was experiencing. 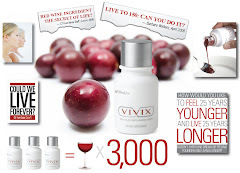 I don't know how taking resveratrol will effect you by taking it on a daily basis. I do know I will continue taking my teaspoon a day for the rest of my life. I love the extra energy I feel.